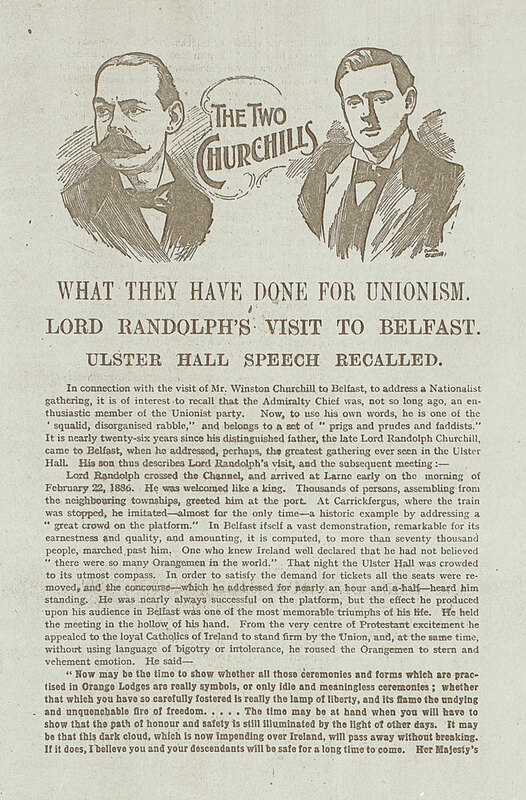 The Conservative Party in Ulster launched an anti-Home Rule campaign in February 1886. It joined with the Orange Order to organise a huge political rally which was addressed by Lord Randolph Churchill (father of Winston). Protestants in Ulster were very concerned about the prospect of Irish Home Rule. They feared that an Irish parliament would put rural agricultural interests before the needs of the industrial North-East. Protestants believed a Dublin parliament would introduce tariffs which would damage industries in the north. They also feared that they would be discriminated against because of their religion, outnumbered in a Dublin parliament by Catholic representatives. 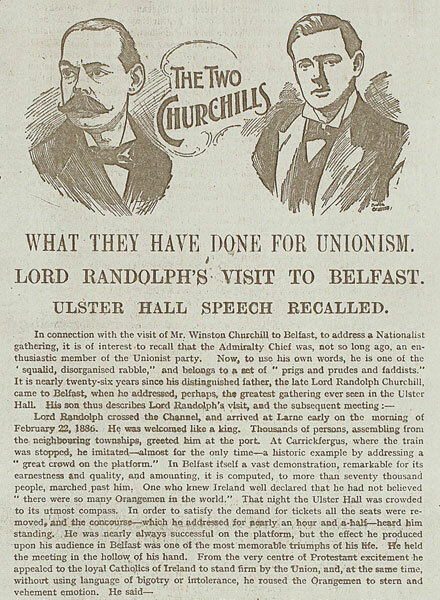 Lord Randolph Churchill, gave a rousing speech at the rally. He argued that there were not one but two Irelands and it would be unjust to hand over Irish loyalists (unionists) to the mercy of a native government. He urged unionists to organise against Home Rule so it did not come upon them "as a thief in the night".